The Lord Jesus has decided to build his kingdom with the broken things of this earth. As men, we are pretty much convinced that we are to build with the strong, the talented, the personable and the winsome. We insist on building with decidedly unbroken people. But God’s true kingdom (not the one we know of) is inviting the losers! LOSERS! This is most certainly not how we would do it. But it seems that heaven is now filling up with broken people, and He is transforming them into broken [fixed] Christians. His policy of ministry means that He will never “quench a smoking candle, nor break a bruised reed.” He allows for our weaknesses, and loves us through them. It is the sick who need the physician, not the healthy. God is a competent specialist at transforming the “weakness-wickedness” of our lives. He knows exactly what to prescribe. Sometimes, he will put us on the shelf for a season. Our diet will change, as we learn to feed on the Word. Slowly, spiritual health will come, and we will grow spiritually. But realize this, that your life is not a journey to the grave with the intention of arriving safely in one pretty, well preserved package. But instead, it is to skid across the finish line sideways, thoroughly used up, worn out, leaking oil, engine smoking and sputtering, and shouting, “Geronimo!” And we will all be there by God’s grace alone. This brings me comfort. 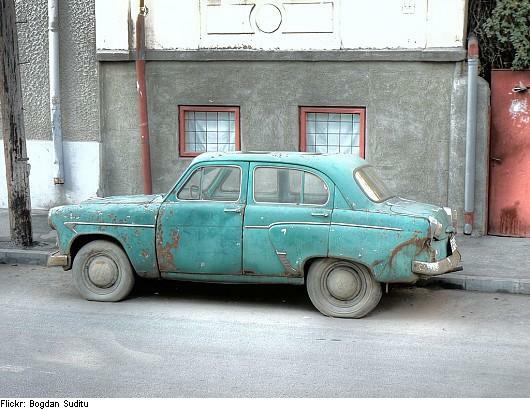 I must confess, I’m not a Ferrari, but a old jalopy. There are no “loosers” where games are not being played. Don’t you ever wonder why so many treat life as if it were a game? It is true that men’s lives are rolled like dice, but its not a game when men are broken and die. I suppose we turn our attention from the brutal facts and imagine some fulfilling destination that will justify the journey because the facts are too cold, hard, and unforgiving for us. Here, where we break and die, we are not saved, we are spent. But, there are no winners or loosers, only participants. There is no trans formative process or constructive resolution to it. Everything we know right now at this very moment is everything there is to life. There is no justification for it . You can’t add to it or take away from it anything of its essence. The cold hard fact is that life simply is not a vehicle in which we are transported to heaven. To players, that makes us loosers. Love it… good job, Pastor.